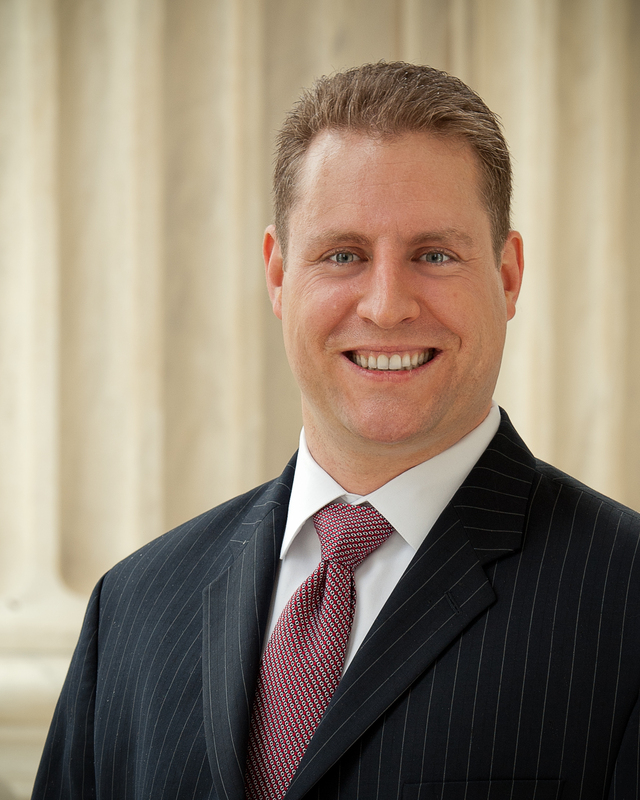 Ken Klukowski is on faculty at Liberty University School of Law, senior fellow for religious liberty at the Family Research Council, and senior legal analyst for Breitbart News (Twitter @kenklukowski). He represents members of Congress in the Galloway case. Town of Greece v. Galloway is a major Establishment Clause case involving legislative prayer. If the Supreme Court takes this opportunity – as it should – to replace both the manifestly unworkable original Lemon test and its equally unworkable revision, the endorsement test, with a historically grounded, principled, and objective coercion test, then this case will be of tremendous benefit to the law and the nation. Those who believe in fidelity to the Constitution and democratic self-rule should hope for nothing less. And although an easy way to make a fool of oneself is to make Supreme Court predictions, I’ll predict this: The Court will reverse. The only questions are (1) What is the vote? (2) Is there a majority opinion? and (3) Does the Court decide the case narrowly on grounds rooted in its only legislative-prayer precedent, Marsh v. Chambers, or broadly reconsider the Lemon/endorsement test? There is often a striking difference between the Constitution’s meaning and legal commentary on its meaning. This is especially true on two subjects. One is guns; the other is religion. Many scholars and commentators are urban elites clustered far to the left of the fifty-yard line of American society and historical norms, living in an echo-chamber. Some fancy themselves the expositors of enlightened thinking to save the unwashed masses from deciding what kind of society they want (a phenomenon the Framers called “democracy”). They’re troubled by this case and bewildered by the Solicitor General’s brief supporting petitioners, and decry attempts to restore the historical understanding of the Establishment Clause as the harbinger of theocracy. Allegheny is a perfect example, in which the Court – by a vote of five to four – in part held that a nativity display at the focal point of a county courthouse is unconstitutional. Kennedy rightly dissented. If you don’t like the nativity display, then don’t look at it. So long as government agents are not compelling you to bow before it, pray to it, or put money in an offering box beside it, the Establishment Clause is not offended. A modern secularist who doesn’t revere such displays of religious faith may feel uncomfortable, but in a free society the Constitution cares not one bit if you see or hear something you don’t like. People speaking (often loudly and discourteously) in favor of the president, or against the president, are likely to annoy and often offend those on the other side of the political spectrum – sometimes passionately. But that’s part of living in a democratic republic. We see and hear things that offend us every day. Sometimes it’s political, sometimes economic, sometimes social, and sometimes religious. The First Amendment protects all these expressions in both private and public settings, and gives no one a heckler’s veto to muzzle speech or eradicate a display with which they personally disagree. Aside from coercion, all the Establishment Clause forbids is a direct and literal establishment of religion. That is miles removed from what some currently characterize as religious establishment. The Pilgrim’s Progress is one of the bestselling books in world history. It was written by John Bunyan in England, during the time he was imprisoned for preaching without a government license. While being imprisoned is clearly coercive, non-coercive official establishment would include that licensing system, or the fact that the British head of state appointed the top clergy of the church, or government officially adopting a doctrinal creed or catechism as national policy. These are the things the First Amendment forbids, not recurring prayers you don’t like or a Christmas display of which you disapprove. The Second Circuit in Galloway invalidated Greece’s prayers under Justice O’Connor’s endorsement test, which she devised in a concurrence in Lynch v. Donnelly in 1984, narrowly adopted by the Court when she was the fifth vote in Allegheny in 1989. The endorsement test asks whether a hypothetical reasonable observer would subjectively feel that government is endorsing religion. That test is completely unmoored from history, alien not only to the original meaning of the Establishment Clause, but is not even recognizable in Supreme Court precedent until 1968 at the earliest. Greece’s town board opens each meeting with a prayer. The town clerk invites every house of worship within city limits to volunteer, and also allows any citizen of any faith to volunteer. Prayer-givers are then scheduled on a first-come, first-served basis. The town is roughly ninety percent Christian. Aside from the predictably Christian majority of volunteers, they’ve had Jewish and Ba’hai prayers, and even a local Wiccan (i.e., witch/pagan). A local atheist even signed up and was scheduled to “pray,” but (understandably) withdrew at the last moment. No one is turned away. Judge Guido Calabresi’s opinion for the Second Circuit applied a novel totality-of-the-circumstances approach to determine whether this practice is an endorsement of religion. He specified three things he was looking at, then added that list is not exhaustive. He considered (1) many prayers had Christian content, (2) most prayer-givers were Christian, and (3) many prayer-givers say “we” or “us” when they pray. It’s laughable to suggest that the town’s practice could fail under Marsh. While most prayers at the town board’s meetings are Christian, that’s nothing compared to what the Court has already upheld. In 1983, the prayers for sixteen years in the Nebraska legislature were offered by a single ordained minister of a single Christian denomination – Rev. Robert Palmer, a Presbyterian – who was paid by the state to offer these prayers. For fifteen of those years the prayers were replete with “sectarian” Christian references, including bold assertions of salvation through faith in Jesus Christ. (I have PDFs of bound volumes of Palmer’s prayers.) He avoided this content during litigation in the final year, but that is of no moment, for as the Town’s brief explains, the prayers in that final year were not part of the record before the Court. The logical conclusion of many commentators’ arguments is (as Barry Lynn – head of the organization representing the women challenging the prayers – argued when debating me regarding this case several months ago) that the Court should overrule Marsh v. Chambers to ban all legislative prayer. There is zero chance of that happening. The challengers never even raise that point in their red brief, evidently realizing that they would immediately lose a majority of the Court. Marsh made legislative prayer in Congress the touchstone of what the Establishment Clause allows, and held that legislative prayer is constitutional unless the prayer opportunity is exploited to proselytize one faith, intentionally aggressively advocate one faith, or disparage other faiths. There is no broad prohibition on effectively advancing religion, since all prayers by their very nature advance religion to some degree. Congress’s practice is manifestly “sectarian” by the Second Circuit’s standard. In the cert.-stage amicus brief I authored for members of Congress, I examined the prayers offered in the House during the past two years under the Second Circuit’s test and definition of “sectarian.” A majority of the prayers contain sectarian content, ninety-seven percent were offered by Christians, and again ninety-seven percent used plural pronouns (“we” and “us”). Either Congress has been violating the Constitution for 222 years since the Establishment Clause’s ratification, or the Second Circuit is wrong. This is a textbook case illustrating the need to replace endorsement test with a coercion test, as I argue in my merits-stage amicus brief for members of Congress. The endorsement test has supplanted all three prongs of Lemon v. Kurtzman, because the original Lemon was unworkable. Now endorsement has proven equally deficient. The Court should take the rule it implicitly used in Marsh – looking to history and coercion – and hold that this is not some carve-out from the Establishment Clause: instead, it is the correct understanding of the Establishment Clause. Lemon and Allegheny should be overruled, and the coercion test restored as the test the Constitution requires. This would harmonize the Establishment Clause with the rest of the First Amendment, and reintegrate that amendment to protect all manner of thought and expression. The reality is that the American people are still a deeply religious people. President Obama may echo many coastal elites when he says many Americans cling to guns and religion out of bitterness, but these countless millions of Americans instead reflect a mindset that also occupied the highest levels of government from the Framing until the recent past. politics and morality are inseparable. And as morality’s foundation is religion, religion and politics are necessarily related. We need religion as a guide…. If you practice a religion, [any peaceful religion,] then your private life will be influenced by a sense of moral obligation, and so, too, will your public life…. If we ever forget that we’re one nation under God, then we will be a nation gone under. These sentiments were mainstream just a quarter-century ago, and the Constitution erects no barrier against them. Arguments from some that the Establishment Clause was designed to sterilize the public square of all explicit references and displays of faith may be in vogue in certain self-designated refined circles, but they’re historical revisionism at its worst. The default rule in this nation is democracy. The Constitution is a charter for limited government – limited both in the powers it grants government and in those few matters that it takes out of the hands of voters and their elected leaders, by declaring those matters constitutional commands. The only thing that legitimizes this anti-democratizing action is if “We the People” democratically – through a rigorous supermajoritarian process – enshrine that specific rule in the Supreme Law of the Land. The ultimate say therefore still comes from the people; either the people act through the normal democratic process through republican rule expressed at the ballot box, or the people act in a much more elaborate fashion to elevate a specific issue into the constitutional text. Courts are bound to give effect to the meaning the people understood, not redefine and expand it to suit modern political correctness. Any reference to religion or faith-related display in a public setting is therefore democratically accountable. It either comes from an elected official, or from a public servant under the supervision of an elected official. The voters can demand that those elected officials reflect their preferences. Elections have consequences. If a community doesn’t want its elected leaders to facilitate religious displays or expressions, it can elect new leaders. If that effort fails, then perhaps the public does not support its secular agenda. For such dissenters, the Establishment Clause is not automatically a second bite at the apple; it is instead only triggered when there is actual coercion (not peer pressure), or official establishment. The Establishment Clause sets a bar much different from that propounded by several recent Supreme Court cases. The Court should restore that bar to its proper place, and reopen faith-based thought and expression to the public square on equal terms with other First Amendment interests.